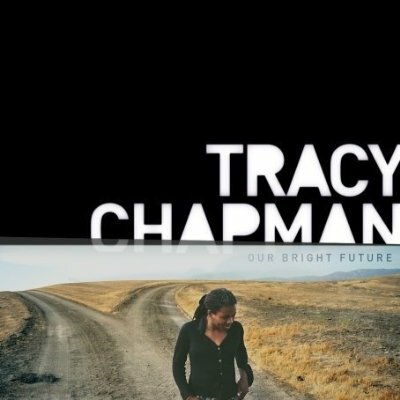 Tracy Chapman walks away from a fork in the road on the cover of her new album. Whether she’s merging onto a main path, or simply fleeing a choice she’d rather not make is a good question. It’s also a perfect metaphor for the many conflicts explored in this work. Though issues of faith, family and fidelity are never quite resolved, Chapman’s inner turmoil ends up paying terrific artistic dividends. The singer/songwriter used two different sets of musicians for the project, a stable of seasoned session players like Steve Gadd and Dean Parks, along with some younger L.A. hotshots like Joey Waronker and Carla Kihlstedt. The elements blend quite well thanks to the steady hand of producer Larry Klein (Joni Mitchell, Vienna Teng). The anti-war title cut seems at first a story of shattered idealism and betrayal. “Our bright future is in our past,” laments Chapman. But she holds out hope in the song’s coda that, with new leaders, “our bright future may come to pass” after all. Overall, “Our Bright Future” is a great listen – just don’t listen too closely. Previous postLocal Rhythms – Whither Record Stores?